Materials Marketing Associates, Inc. recently announced the appointment of John Graham of Toronto-based Chemroy Canada, Inc. as President of the association of raw materials and specialty chemical distributors. Continuing to serve with Graham on the Board of Directors are Steve Hightower of D&F Distributing in Dallas and Houston, Texas as Immediate Past President, Donald Cruickshank of Portland, Oregon C.D.I., Inc. as Treasurer and Directors Scott Westerbeek of Matteson-Ridolfi in Detroit, Michigan and Jack McMahon from Clearwater, Florida based Majemac Enterprises. Company representatives from member firms of Materials Marketing Associates will be gathering on March 1-2, 2010 in Dallas at the DFW Airport for two days of information exchange and educational sessions as part of their Annual Membership Meeting. Walsh & Associates has named Tom Intagliata, Sales Representative, for the company’s St. Louis sales region. Intagliata is a graduate of University of Missouri-Rolla and earned his BS degree in Mining Engineering. Tom brings with him several years of technical sales experience which includes positions at Chemetall (formerly Nalco), Galaxy-Fremont and Henkel Loctite. Walsh & Associates, Inc. has named Jana L. Sykes, Sales Representative, for the company’s St. Louis, Missouri sales region. Sykes, formerly a sales representative for PQ Corporation, has more than 10 years experience in sales, sales management, and marketing in the specialty chemical industry. Sykes also held positions with Albright & Wilson Americas, and Mallinckrodt Chemical, Inc.
Walsh & Associates, Inc., headquartered in St. Louis, Missouri, serves the paint and coating, ink, plastic, food and beverage, soap and detergent, personal care, lubricant, adhesive, sealant, construction and related industries throughout all or part of twenty-five Northern, Midwest, West and Southwest states. For service and product information visit the company’s website: www.walsh-assoc.com. Walsh & Associates, Inc. is an active member of the National Association of Chemical Distributors (NACD), and Materials Marketing Associates, Inc. (MMA), a group of independent, privately held, specialty chemical distributor’s serving North America and Canada. Jack Westerbeek, owner of Matteson-Ridolfi, Inc. since 1988, died of Non-Hodgkin's Lymphoma on November 26, 2003 at his home on Grosse Ile, Michigan after an eight year battle with cancer. He was 62 years old. Matteson-Ridolfi has been a member of MMA since 1970 with Jack serving as the contact since 1989, following Ren Ridolfi's retirement. Jack will be missed by not only his family, those at Matteson-Ridolfi and his MMA family but by the chemical distribution industry. He gave far more to the industry, his family and his community than he took. Matteson-Ridolfi will remain an active member of Materials Marketing Associates with Scot Westerbeek serving as the company's representative. At MMA's recent Annual Meeting in mid-February 2003, the membership unanimously voted to accept Chem-Materials, Inc. from Cleveland, Ohio as a member of the organization. Chem-Materials representative is Bob Morsek, president of the company. Chem-Materials Company is a raw materials supplier providing technical service and products to the paint and coatings, ink, adhesives and sealants, plastics, fiber reinforced composites, construction, paper, rubber, ceramic, resins, food, pharmaceutical and other industries. Founded in 1919, Chem-Materials Co. currently employs a sales staff of 8 people in its Cleveland, Ohio headquarters, and a regional office outside of Chicago, IL. The company covers the regional Midwest including Ohio, Kentucky, Michigan, Western Pennsylvania, Western New York, West Virginia, Indiana, Illinois, Iowa and Wisconsin. Stocking warehouses are located in Cleveland, Louisville, Pittsburgh and Chicago with proposed sites in Michigan and Indiana. Walsh & Associates has named Bruce A. McGraw, Area Manager, for the company's sales region expansion in Dallas/Ft. Worth, TX. McGraw, formerly a sales representative for Crozier-Nelson, A Brenntag Company, managed the Arkansas and Western Tennessee sales territory. McGraw has more than 20 years experience in sales, sales management and marketing in the specialty chemical industry. Walsh & Associates, Inc., a distributor of chemicals, containers and equipment, has been named distributor for CB Mills, Division of Chicago Boiler. Walsh's territory will include the Midwest states. CB Mills is a leader in the processing industry. Headquartered in Gurnee, Illinois, CB Mills specializes in the manufacture of Vertical and Horizontal Mills, Solvent Recovery Systems, Tank and Drum Washing Systems. Walsh & Associates Has Been Named Distributor for the Spencer Machine & Tool Co.
Walsh & Associates, Inc., a distributor of chemicals, containers and equipment, has been named distributor for Spencer Machine & Tool Co. Walsh's territory will include the Midwest states. Spencer Machine is a leader in the filtration industry. Headquartered in Jeffersonville, Indiana, Spencer Machine specializes in the manufacture of the Spencer Self-Cleaning Filters servicing the beverage, juice, toothpaste, tomato paste, paint, ink, adhesives and caulk industries. Born October 19, 1919 in Rochester, MN. Life-long resident of St. Anthony Park in St. Paul, and Ten Mile Lake. Graduate of St. Paul Central HS and University of Minnesota. U of M swim team captain, M Club President, Beta Theta Pi. WWII Naval Aviator and flight instructor. International backgammon player who achieved Life Master status. Skied the mountains of the world with joy and enthusiasm. Past president of the St. Paul Rotary Club. Member of Town & Country Club. Devoted to conservation and ecology and to his Norwegian heritage. Forty years with George C Brandt, Inc. Survived by children Rick (Pam), Marty (Diane), Christie (Norm), Jon and Rebecca (Annie), grandchildren Kevin (Alison), Lisa, Eric, Mikaela and Gracie, great-grandchildren Ricky and Leo, brother Dave (Evie), sister Molly and numerous nieces and nephews and life-long friends. Memorials to Deep Portage Conservation Reserve, 2197 Nature Center Dr. NW, Hackensack, MN 56452, www.deep-portage.org. Life celebration at the Town & County Club in St. Paul on Sunday, September 29, 2-5 pm with short memorial ceremony at 3 pm. Walsh & Associates, Inc., a distributor of chemicals, containers and equipment, has been named distributor for Chemia Corporation. Walsh's territory includes all or part of Missouri, Tennessee, Kansas, Colorado, Illinois, Utah, Iowa, Wyoming, Idaho, New Mexico, Oklahoma, Mississippi, Alabama, Arkansas, Nebraska, Indiana and Kentucky. Chemia Corporation is a leading custom compounder of high quality, cost effective fragrances for the manufacturers of personal care, household and industrial and institutional products. Headquartered in St. Louis, Chemia Corporation specializes in creative perfumery, national brand equivalent fragrances, and custom duplications. Their applications lab is also available to help with technical assistance and product testing. For more information visit www.chemiacorp.com. Robert Walsh, Jr. has been appointed to Regional Sales Manager at Walsh & Associates, Inc. in St. Louis, Missouri. Robert has served as a sales representative for the company for 31 years. Walsh & Associates, Inc. has presented its 2000 Supplier of the Year award to Degussa Corporation - Advanced Fillers and Pigments Division, the world's only single-source supplier of innovative, tailor-made systems to the coatings, paper, printing ink, consumer products, rubber processing, and plastics industries. Walsh & Associates established the Supplier of the Year Award in 1992 and bases its annual supplier evaluations on such criteria as: Customer Service, Logistics, Accounting, Sales & Marketing and Technical Services. St. Louis, MO -- In memory of George Claytor, Walsh & Associates, Inc. has presented scholarship checks totaling $1,000 to the St. Louis Paint & Coatings Association and the St. Louis Society for Coatings Technology. 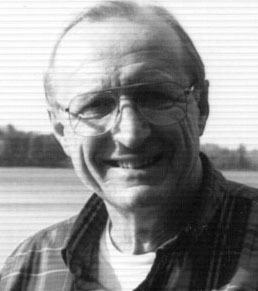 George Claytor helped start Walsh & Associates, Inc. in 1968 and, after fifty years of service to the paint industry, retired from Walsh in 1976. George Claytor died in 1992 and a memorial fund was established in his name in 1993. Chartwell International has appointed Brandt Technologies as its exclusive agent in Illinois, Wisconsin, Minnesota and Northwest Indiana for sales of its proprietary metal organic adhesion promoters which are used widely in Industrial Coatings, Inks, Powder Coatings, Adhesives and Rubber. MMA received 3 awards including the "Hawk Award", "Wishing Well Award" and the "It's too Cool! Award."